The Progress-Focused Approach: The plus behind the minus: which questions can you ask? The plus behind the minus: which questions can you ask? Several years ago, I introduced the technique of 'finding the plus behind the minus'. The basic I idea behind it is that when people express themselves negatively (through a complaint, a reproach, or criticism) there is always something positive behind that negative expression. That positive thing is something which they find valuable or important, a value, a principle, a goal, of whatever you want to call it. Briefly, the technique comes down to searching for that plus behind the minus. In our progress-focused training programs we frequently practice this technique with our participants, especially in cases which deal with resistance of conflicts. When you are trying to help people in a conflict situation to express the plus behind their minus this has several benefits. First, they themselves find it helpful and pleasant to be able to explain more clearly what their preferred situation is. Second, it will be more acceptable and clear for the other person or people involved in the conflict to understand what the positive intentions are behind someone's initially negative behavior. For them, it will be much easier to respond to these positive formulations than to the initial formulations which were negative. When applying the technique of the plus behind the minus it is important to probe curiously, friendly and patiently. This will help to clarify, step by step, what the person finds important and why it is so important for that person. As the person succeeds in explaining this, step by step, he or she will generally become more calm, too. When you are asking questions you may keep in mind three sorts of things: the what, the why, and the how. The figure below illustrates this. When people, at first, express themselves negatively, they really are saying what they don't want, what is bothering them. When you start looking for the plus behind the minus they can, step by step, express what they do want, in other words: what they find valuable. The what-question is the question about what they would like to see instead of what they are now dissatisfied about. In other words: they question about how they would like the situation to become. The why-question is about what the benefits of that desired situation would be. In other words: what would be better if that situation will have been achieved? 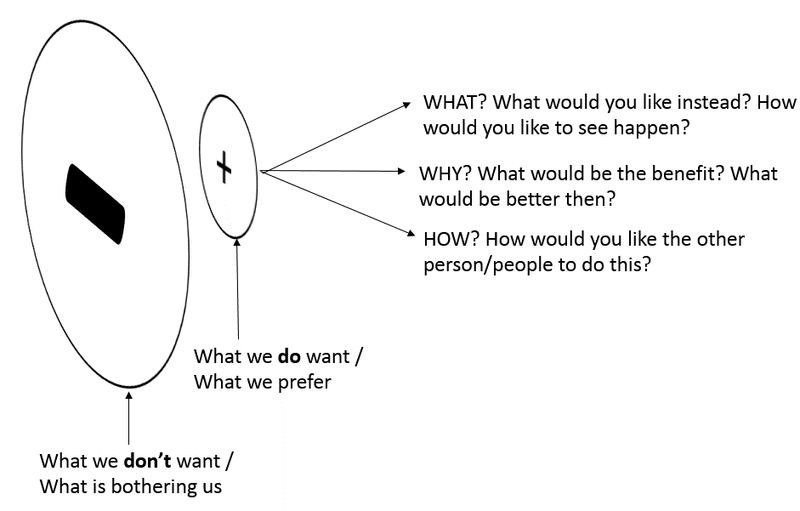 The how-question specifically asks about how the person would like other people to behave. 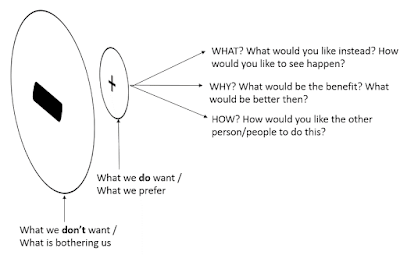 When you are asking questions in this way, usually, a ever more clear picture will start to emerge of what someone would like to happen and why that is important to that person. The other person or people involved in the conflict situation listen along while this happens and start to understand that the person ultimately did not intend to be negative and that there is something specific and positive behind the initial negativity. 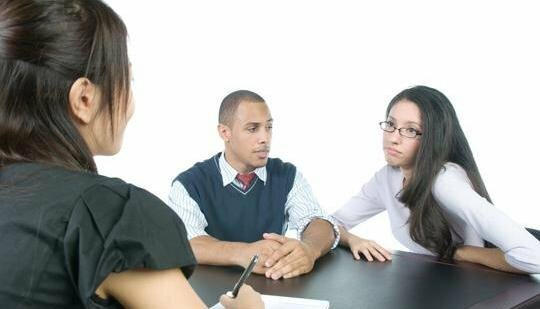 Usually, this leads to the situation that they will become more understanding and cooperative and that the chance of conflict resolution will increase (read more about why this is likely to happen in this article). Do you like this technique? Feel free to try it out and let me know how it worked.